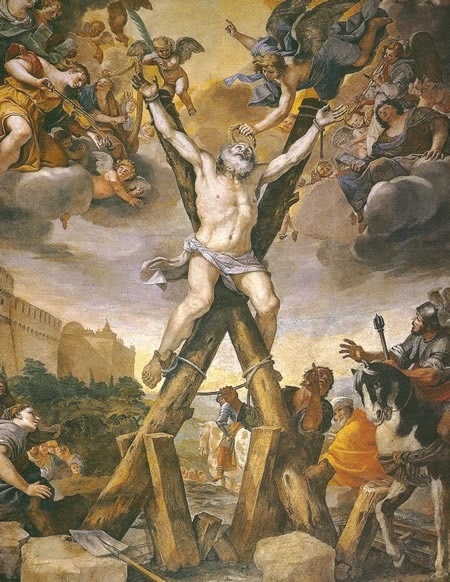 I recently added a painting by Mattia Preti to the Trombone History Timeline. Preti, an important artist of the Italian Baroque, actually included trombonists in several of his paintings. Those I have been able to locate are shown in chronological order, below, and can also be found in broader historical context in the Trombone History Timeline. They can additionally be found in the collection, Angel Trombonists Throughout History: 63 Images. You may notice that the player’s unusual left-hand grip, which appears to be too far down the slide, is consistent among the three paintings. 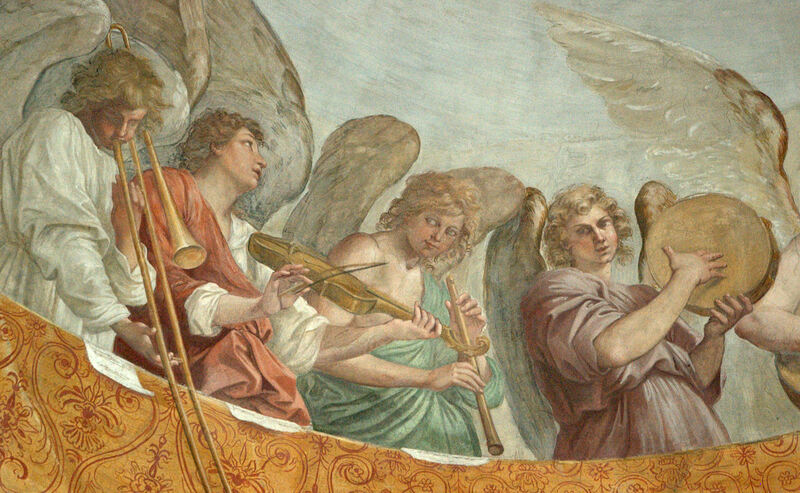 And of course the subject matter (angels playing music) and setting (Catholic church interior) are consistent as well. 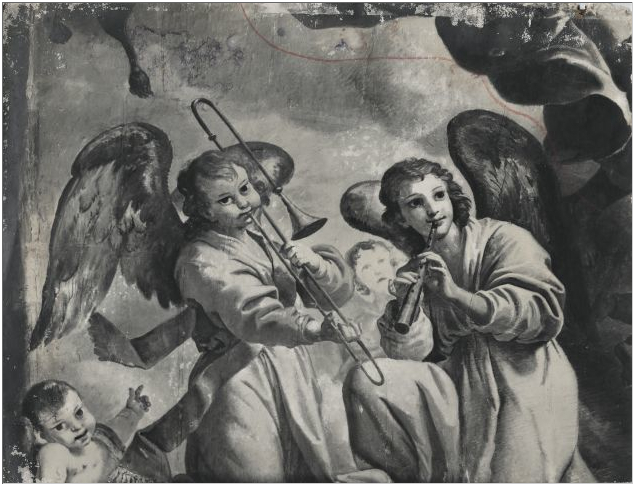 1651—Modena, Italy: Mattia Preti’s fresco, Gloria di Angeli Musicanti, located in the apse of San Biagio, includes a depiction of an angel playing trombone among many other angel musicians (see below detail; public domain) (Adani; Quintavalle plate 95). 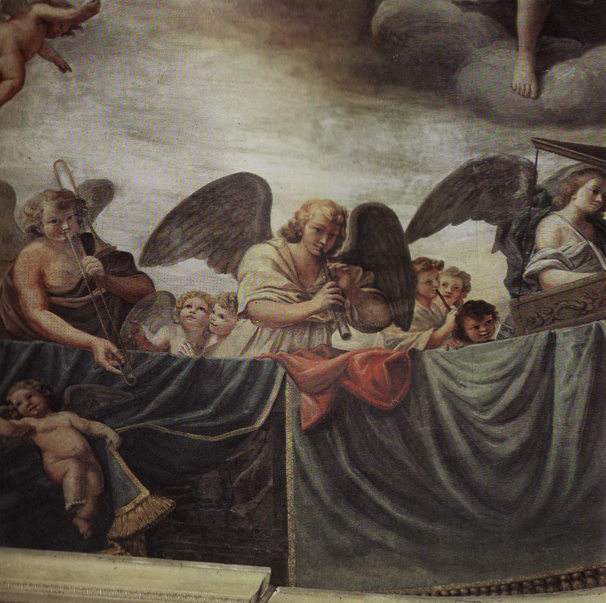 1661-66—Valletta, Malta: Artist Mattia Preti includes an angel-trombonist in his fresco on the apse of San Giovanni (see below image; public domain) (photo by Alfred Gouder).